VATICAN CITY (CNS) — The extension of Pope Francis’ trip to Sweden by one day to accommodate a papal Mass for the nations’ Catholics does not detract from the ecumenical power of the trip, but actually highlights the need for Christian unity, said the general secretary of the Lutheran World Federation. Initially, Pope Francis had planned to make a day trip to Sweden Oct. 31 to take part in two ecumenical events launching a year of commemorations of the 500th anniversary of the Protestant Reformation. But at the urging of local Catholics, the pope decided to spend the night and celebrate Mass Nov. 1 before returning to Rome. The Rev. Martin Junge, general secretary of the LWF, told reporters at the Vatican Oct. 26 that the Lutherans fully understand the desire of Catholics in Sweden to have Mass with the pope and the pastoral responsibility of the pope to fulfill that request. “Of course,” he said, “it is also going to reveal that we are not yet united; it is going to reveal a wound that remains there” since the divisions between Catholics and Lutherans mean that in general Eucharist sharing still is not possible. While Rev. Junge and other Lutheran leaders have accepted an invitation to attend the Mass, the fact that they will not receive Communion “is going to be a strong encouragement to continue working toward unity,” he said. Both Rev. 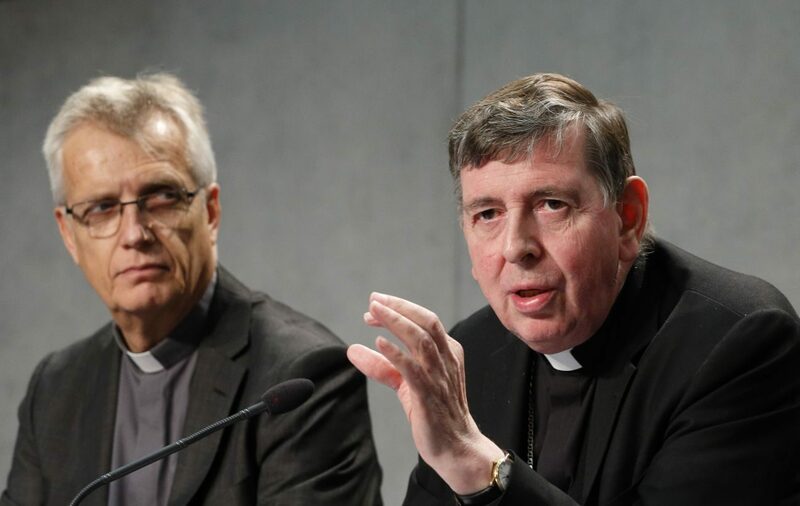 Junge and Cardinal Kurt Koch, president of the Pontifical Council for Promoting Christian Unity, said the biggest breakthrough in Lutheran-Catholic relations was the signing in 1999 of a joint declaration on justification, or how people are made righteous in the eyes of God and saved. But before eucharistic sharing and full unity are possible, they said, further agreement must be found on Catholic and Lutheran understandings about the church, the Eucharist and ministry. Cardinal Koch said marriages between a Protestant and a Catholic are a pastoral concern for both churches, particularly in finding ways to encourage continued church participation and in dealing with the question of going to Communion together. A year ago, during a visit to a Lutheran church in Rome, a Lutheran woman married to a Catholic man asked Pope Francis what she and her husband could do to receive Communion together; the pope said he could not issue a general rule on shared Communion, but the couple should pray, study and then act according to their consciences. Asked if there were any plans for Pope Francis to lift the excommunication of Martin Luther, Cardinal Koch said no because “excommunication ends with the death of a person.” It is a penalty imposed by the church during a person’s lifetime with the hope of getting the person to return to full communion with the church. Briefing reporters on the logistics of the trip to Sweden, Greg Burke, Vatican spokesman, said that because the trip does not include Stockholm where the nuncio and the only Catholic bishop live, Pope Francis would be staying at Igelosa, a medical research company near Lund where the Scandinavian bishops have stayed during their annual meetings.